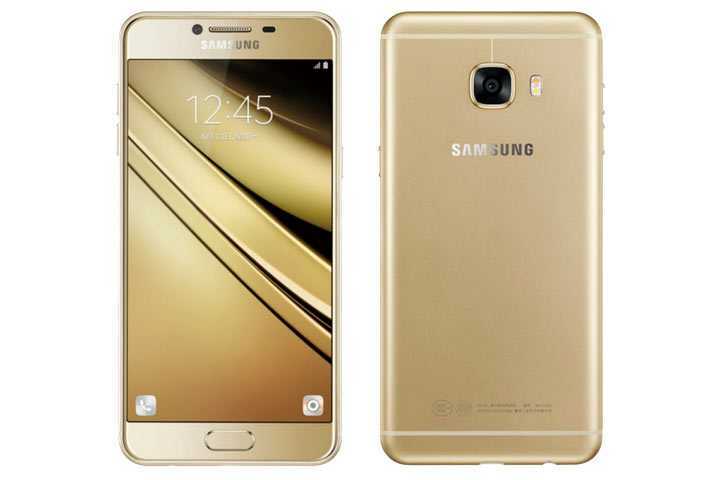 Samsung Galaxy C5 Pro is about to get launched and before the official reveal the company reported its specifications to TENAA. The report revealed important specs of the phone even though the actual pricing is not confirmed yet. The C5 Pro was originally scheduled to be launched alongside the Galaxy C7 Pro. However, Samsung decided to postpone the launch of the device owing to market conditions. The company is supposed to come up with new smartphones from time to time. They don’t have any models scheduled between January and April after which the big flagship Samsung Galaxy S8 will be out. While the C7 Pro will be out next month, the next in the series the C5 Pro has been pushed to a February launch. 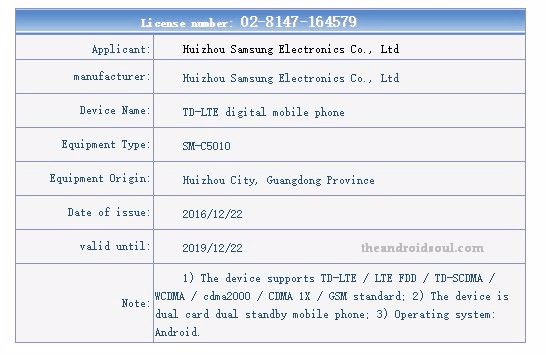 Based on the TENAA listing posted on theandroidsoul, the upcoming model will sport a promising full HD sAMOLED display. The 5.2-inch display is an ideal choice for everyday usage and it is considered more compact in an era where phones are almost as big as tablets. The sAMOLED is another highlight for the phone just like many other Samsung models. It offers crisp colors, great brightness levels and improved viewing angles. Under the metal casing, the phone will be powered by a Qualcomm Snapdragon 625 processor. The chipset is definitely not a great choice for a 2017 smartphone. However, it should help Samsung keep the pricing of the model low and the processor is more than capable of handling daily tasks with much ease. Besides, the manufacturer has added 6 GB of RAM which is extremely high and should keep almost all apps running crisp and smooth on this C5 Pro. The Galaxy C9 Pro has been going great in the flagship end and now it’s time for mid-range phones to receive the same treatment. Not every buyer is willing to spend a small fortune to get a smartphone for making calls and messages. Those would have a great time using the Samsung Galaxy C5 Pro according to the company. The phone is expected to be out by February 2017 and when it does, we will know its official pricing. In the recent past, Samsung’s other phone the Galaxy A7 got its specifications leaked much before the official reveal. But, with all the phones sporting similar processors, screen size and cameras it doesn’t make much of a difference and real world performance matter more than spec sheets.